Wrap the stack of tortillas in foil; warm at 350° for 8-10 minutes. Spread warm tortillas with cream cheese and top with chilies. Fold tortillas in half. 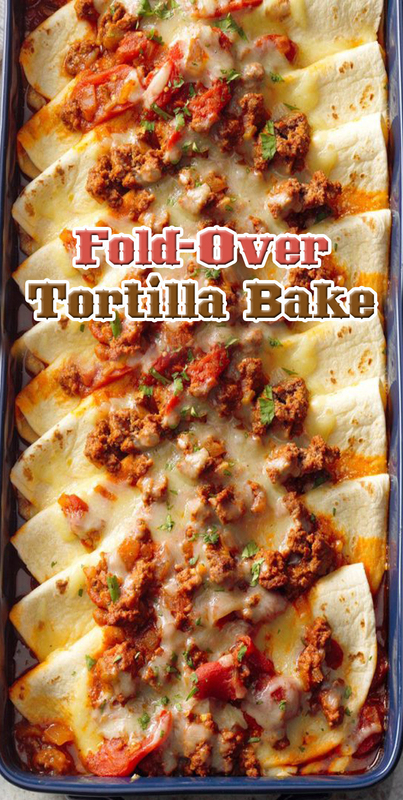 Arrange folded tortillas over meat sauce; pour remaining sauce over top. Cover and bake at 350° for 15 minutes. Sprinkle with cheese; bake 5 minutes longer or until cheese is melted. If desired, top with cilantro.